If you are looking for a custom home in a desirable neighborhood, then this may be just the one for you! This adorable 3 bedroom, 2 bath 1648+/- sq. 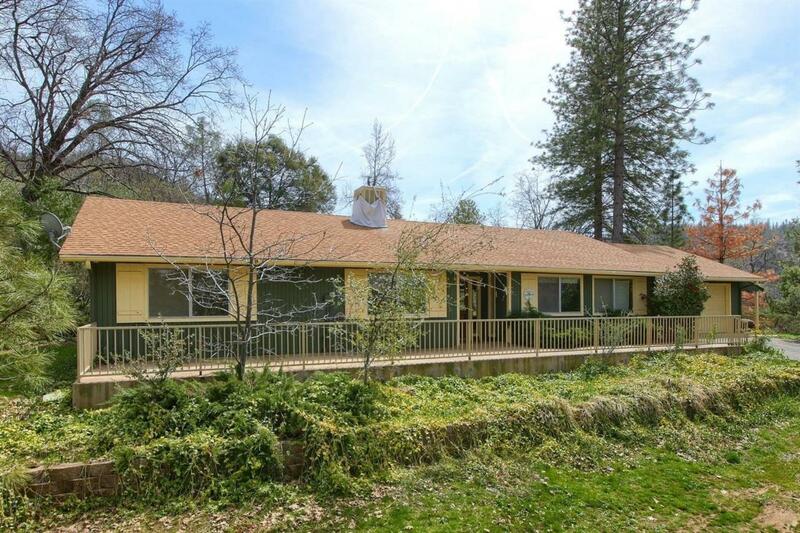 ft. home sits on 4.74+/- gorgeous all usable acres with lovely views! Nice floor plan with beautiful finished wood ceilings and a free standing wood stove. The kitchen provides you with a breakfast bar, propane stove, oven, dishwasher, double sinks and a trash compactor. Carpet and tile throughout the home with central heat and air along with an evaporative cooler. Includes a 2 car garage, older barn with 2 attached carports, a shared well and all at the end of a cul-de-sac. This is a must see, as it won't last long!